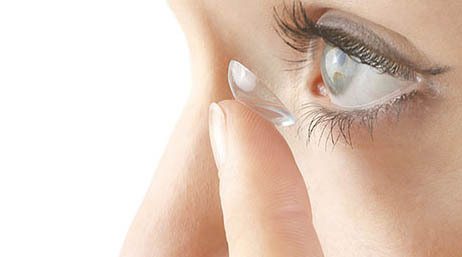 Feel Good Contact Lenses have found some more eye myths to bust. Read on to find out if you've been following fiction when it comes to your eyes. There are countless myths that circulate in the world today, so we thought we’d take some time to find even more false beliefs and theories about eyes that people are buying into. Despite the myth, your eyes are actually only a third of their full size when you are born. While your eyes will continue to grow as you develop from a child to an adult, they reach two-thirds of their full size in the first six months alone! Denying your child a nightlight for this reason can seem pretty cruel, but some people actually believe in it. The myth is that nightlights are contributors to the development of short-sightedness. However, research has shown that nightlights have no long-term negative effect on eyes, and there is nothing to be scared about. This is probably the worst of these myths to believe in, when it comes to the health of your eyes. Thinking of eye exams as emergency procedures is dangerous thinking. 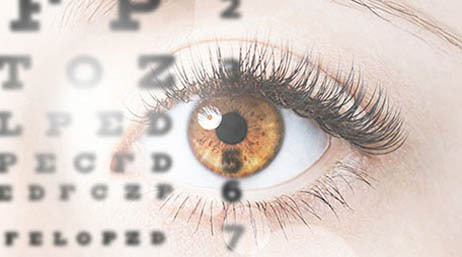 It never hurts to go for an eye test, and that’s why we suggest you pay a regular trip to the optician. A number of eye problems often remain undetected for some periods of time, and can be dealt with much earlier if picked up in an eye test. Another reason to regularly attend them is that your prescription may have changed since your last opticians visit, and you could be wearing the incorrect lenses. A large amount of people believe that by wearing contact lenses with a different prescription than that which your eyes require, you are putting your eyes in harm’s way. This is far from the truth, however. Your eyes may become tired, and sometimes strained, when wearing the wrong contact lenses, however there will be no long-lasting negative effects on your eyes or sight. It is worth noting however, that children under the age of eight years old could be putting their eyes at risk if wearing the incorrect prescription, as this could potentially lead to lazy eye syndrome. Learning problems generally refer to when a child is struggling with reading or with maths. There is the belief that these problems originate from eye-related issues, however there is no conclusive evidence to support this. It is generally advisable, however, to take your child for an eye test if they are struggling with reading, as this could be an issue that is purely sight-related. This myth is widely believed, due to the fact that reading in dim light can cause your eyes to feel tired, and can result in eye strain in the worst cases. However, doing this does not cause any serious harm to your eyes or vision, despite popular belief. Having said that, pretty much everyone would agree that reading in a well-lit environment is much more enjoyable and kind to your eyes. Feel Good Contact Lenses hope that you’ve found this entry enjoyable, and that we’ve managed to bust some of the myths about eyes that exist today. If there’s anything you want to know about eyes, vision or contact lenses, don’t hesitate to email or call our dedicated customer services team.